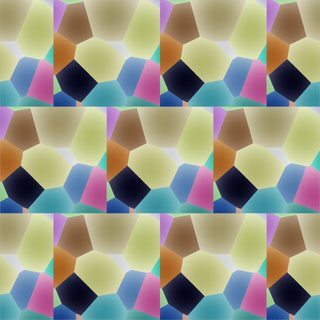 How can I create a staggered, repeating procedural pattern? I read "How do I create repeating patterns in cycles with procedural textures?" here on Blender Stack Exchange, and "staggered texture mapping" on Greg Zaal's website. 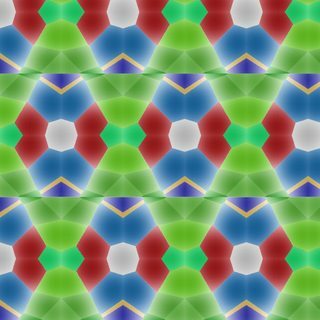 I thought it seemed possible to combine the two ideas to have staggered procedural tiles, but can't seem to make it work. Can anyone please help? Here are the nodes for creating staggered texture mapping for procedural textures. First the Y axis gets multiplied by the number of lines you want to have in the pattern (the Lines value node). After adding .5 that gets rounded creating stripes (along the X axis in this example). If you were to look at the output from that node at this point it would look all white, that is because the values start at 1 and increase by 1 with each stripe. The next three nodes take the stripes, multiplies it by the reciprocal of the input value (lines), then by 0.5 to lower the values. Then the X axis is added in. 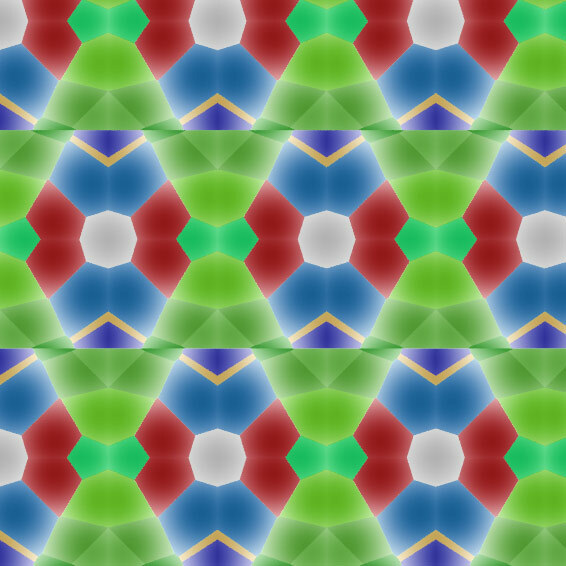 At this point there are only stripes, next the Modulo math node causes the texture coordinates to repeat. All that was for the X axis. The Y axis is simple, it is just the Modulo of the reciprocal of the lines. With the nodes pictured at the top you can get a pattern like this. After adding the Subtract and Absolute nodes from Jerryno's answer, every other tile will be mirrored and you can get a pattern like this. This blend has the nodes packed in to a node group, which can easily be added to any project. As you can see, manipulating the texture coordinates of generated textures is quite powerful. Not the answer you're looking for? Browse other questions tagged cycles texturing materials uv or ask your own question. How would I procedurally texture a marble tile floor without the texture spreading across every tile? How to pixelate a texture in Cycles? Is it possible to give the procedural checkers more than 2 colors? How can I use a cycles material animated procedural texture to control hair particles?